Los Angeles Tax Day specials include a $1 Old Fashioned at Bigfoot West. Your taxes are filed and if you’re lucky Uncle Sam has a refund waiting for you in the near future. Celebrate over $1 drinks and more with these Los Angeles Tax Day specials, April 18. 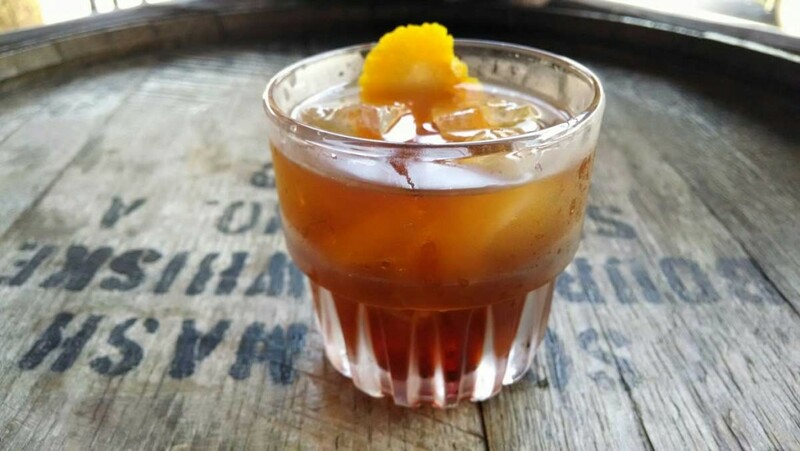 $1 Old Fashioned; Sassafras, $1 Old Fashioned, 5-7 p.m.; Bigfoot West, $1 Old Fashioned; Bigfoot Lodge, $1 Old Fashioned; La Cuevita, $1 Tequila Press; Thirsty Crow, $1 Old Fashioned; Oldfield’s, $1 Old Fashioned. 5-7 p.m.
Splurge or save on these Tax Day specials at the West Hollywood spot. The high-end “Lucky Line 75” margarita features Clase Azul tequila, Grand Marnier, lime juice, simple syrup and volcanic salt garnish for $30. The reasonable “Dreaded Line 78” margarita for $8 features El Jimador tequila, lime juice and agave syrup. The 50-year old Beverly Hills restaurant offers 66¢ cocktails; a nod to the eatery’s founding year of 1966. The special kicks of on Tax Day and continues as a Throwback Thursday promotion through the end of the year. Toast over the featured Rollback Martini or Old Fashioned available with purchase of any food item. 5-10 p.m. Reward yourself with $1 PBRs at the Pasadena Biergarten, Pasadena Hill Ave., Burbank and Long Beach outposts. Brian Malarkey’s chic Santa Monica hotspot recently refreshed happy hour includes $1 oysters, as well as bites like grilled pork belly with braised lentils and maple mustard; and new drink ($7-$8) like the Santa Monica Aviation with gin, Maraschino liqueur, crème yvette and lemon. Beer and wine are also available for $5 and $6, respectively. 4:30-6:30 p.m.
Mark the day with an extended happy hour in the South Bay that features $2 off all well drinks, house wines, and house cocktails along with half-priced appetizers. 3 p.m.-close. The El Segundo hotspot is extending its popular happy hour on Tax Day, offering $2 off selected margaritas and beers, $3.50 tacos and $6 bites ranging from oxtail picadillo empanadas, to the bean, bacon, chili and cheese dip with chips. 3 p.m.-close. Through April 22. Get rewarded with these two Tax Day specials: Any sandwich on the menu + (non alcoholic) drink for $9, tax free; and a pimiento cheese sandwich + Hell or High Watermelon beer for $10.99, tax free.